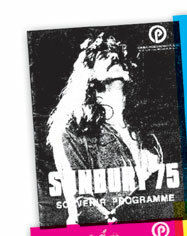 The tour programme is, alongside the ticket, often the only souvenir fans have of a concert. 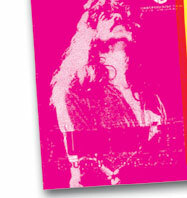 We aim to build a catalogue of known programmes by Deep Purple and associated groups here. 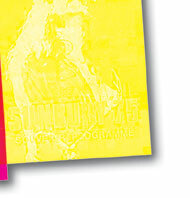 Programmes will be drawn from the DPAS Archive but it is also hoped other fans will contribute. More detailed information has appeared in the pages of Darker Than Blue magazine over the years but this guide should show collectors what is available. If you have a concert programme you'd like us to feature, we need a scan of the front cover at 300 dpi 10 cms high, plus details of the contents / date etc. 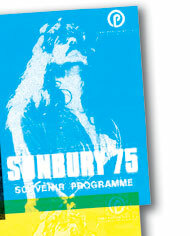 The DPAS Archives are always looking for programmes from 1968 - 1976 to fill gaps in the collection, so if you have any spares please email us.